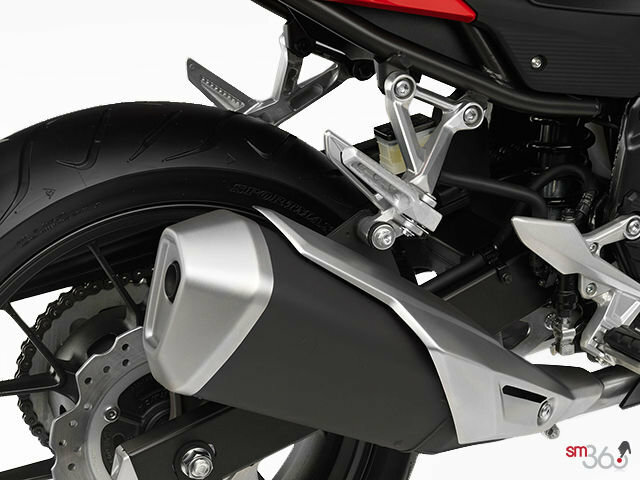 The internal structure of the CBR500R's muffler helps produce an authoritative exhaust note and improves the bike’s mass centralization. 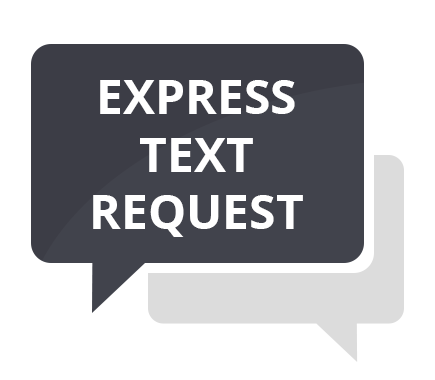 A light and compact roller- rocker-arm assembly and shim-type valve adjustment allows a lower valve-spring load for reduced friction and a compact cylinder head. 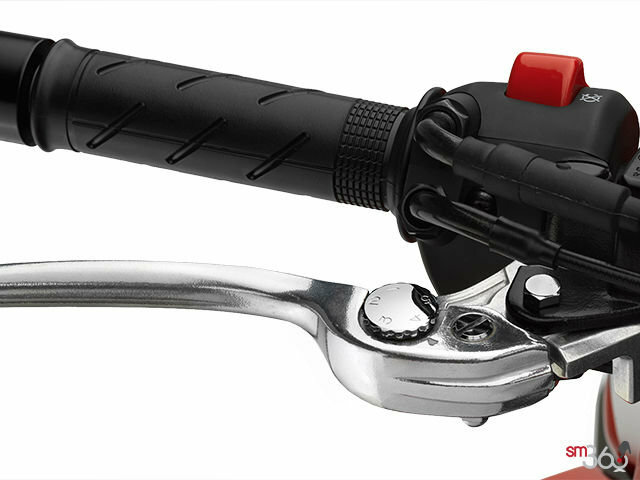 The Pro-Link® rear suspension with preload-adjustable shock and the 41 mm fork—with the addition of preload adjustability—are calibrated for a comfortable but sporty ride. 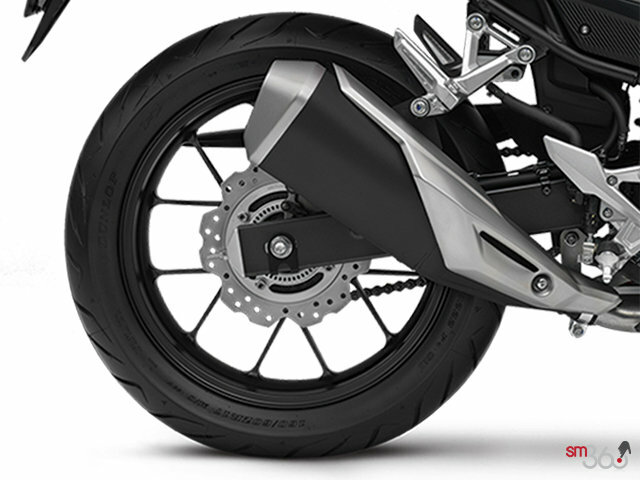 Lightweight cast aluminum wheels with Y-shaped spokes not only look great, they also contribute to the bike’s excellent manoeuvrability. 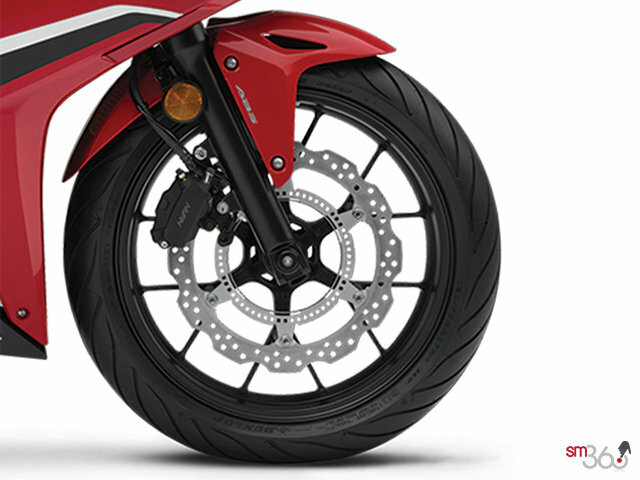 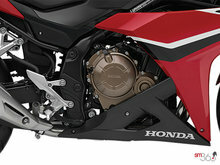 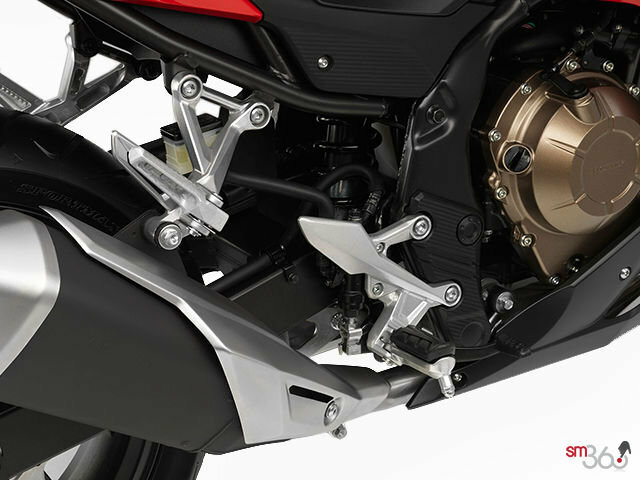 A powerful dual-piston brake caliper up front and a single-piston caliper at the back provide strong but easily controlled stopping power with standard Honda ABS. 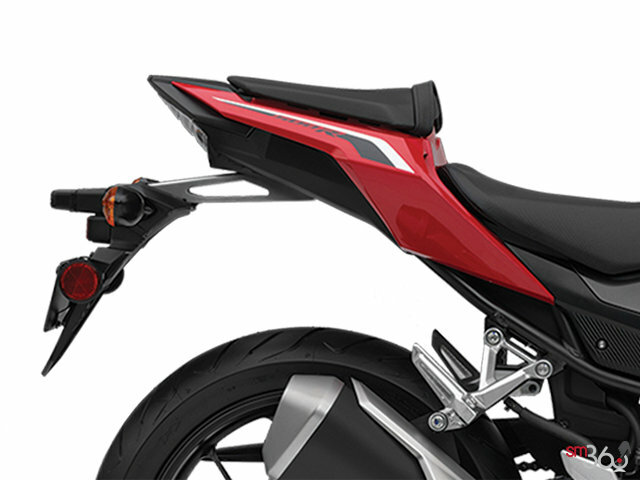 A utility space under the seat accommodates a U-lock, wet-weather gear or other items. 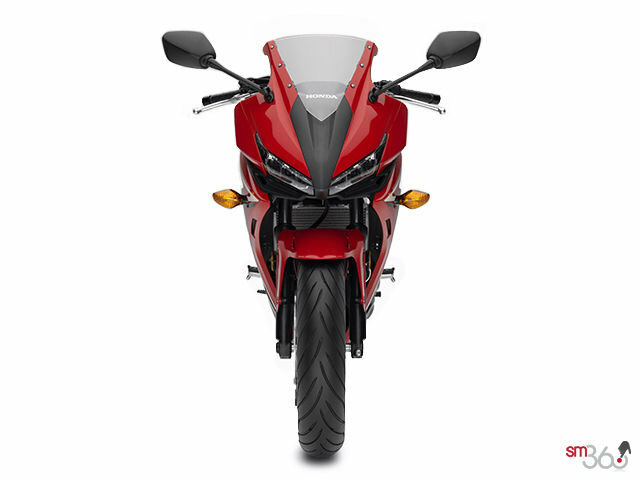 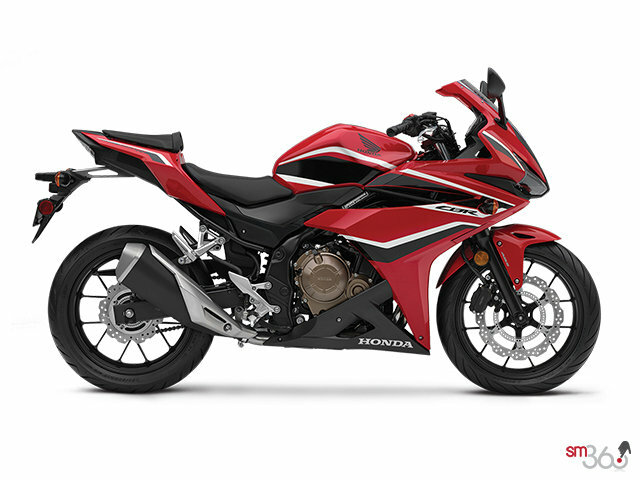 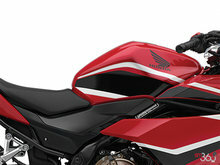 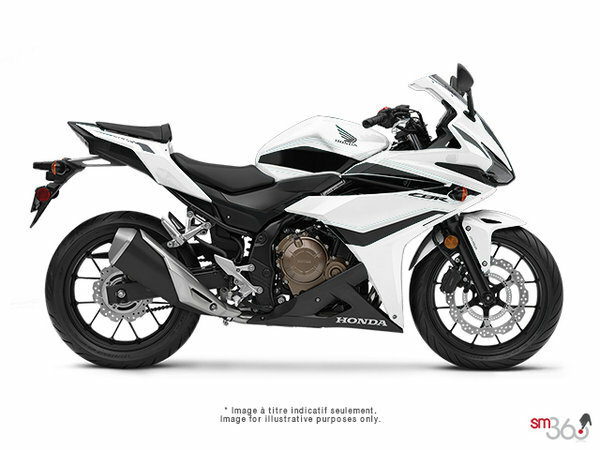 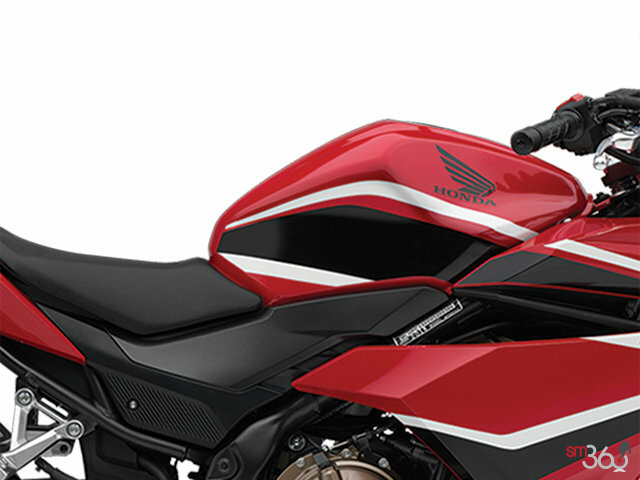 While the fuel tank on the CBR500R looks sleek and sporty, its larger capacity, combined with the engine’s fuel-efficient performance, allow you to ride long and far between gas stops. 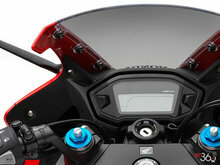 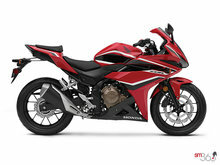 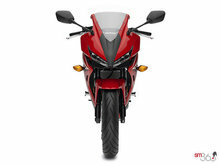 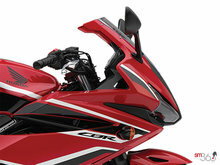 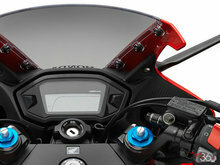 Adjustable brake lever and wave-style ignition key add to the CBR500R’s long list of premium features. 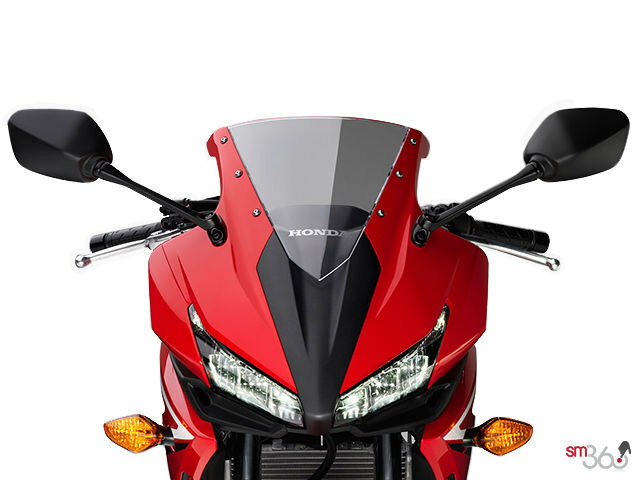 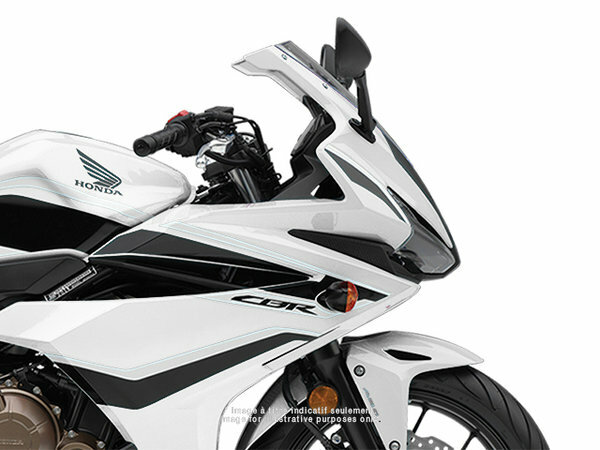 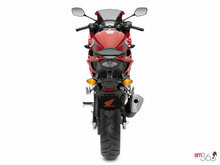 The CBR500R’s sporty fairing and rear section incorporate a pair of bright and distinctive LED headlights and an LED taillight. 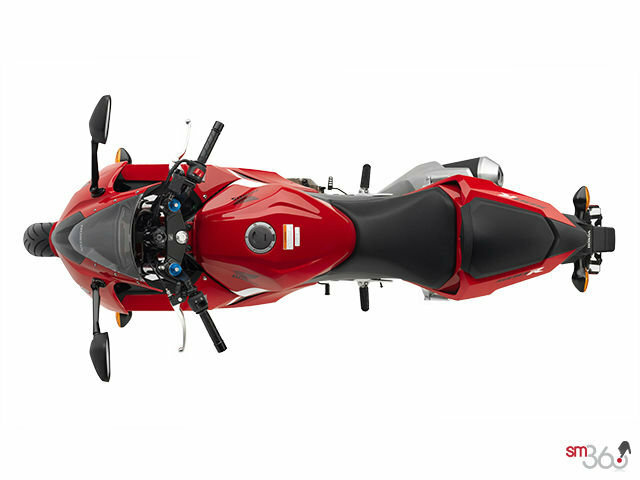 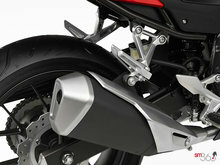 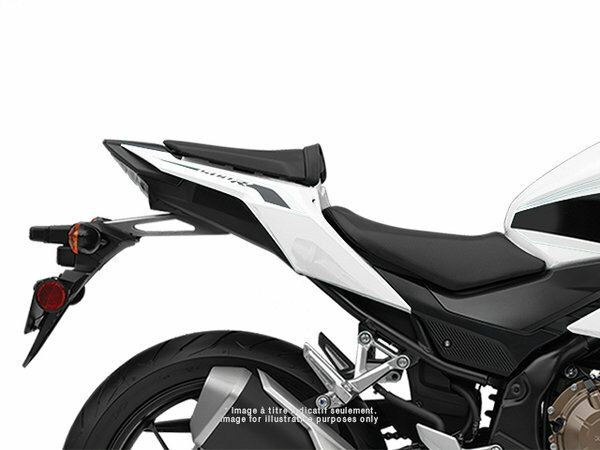 Strategically placed vents and ducts in the front cowl and side panels improve rider comfort and protection while also aiding high-speed handling.